There may come a time when you need a bit of support to remain living the independent lifestyle you so desire. 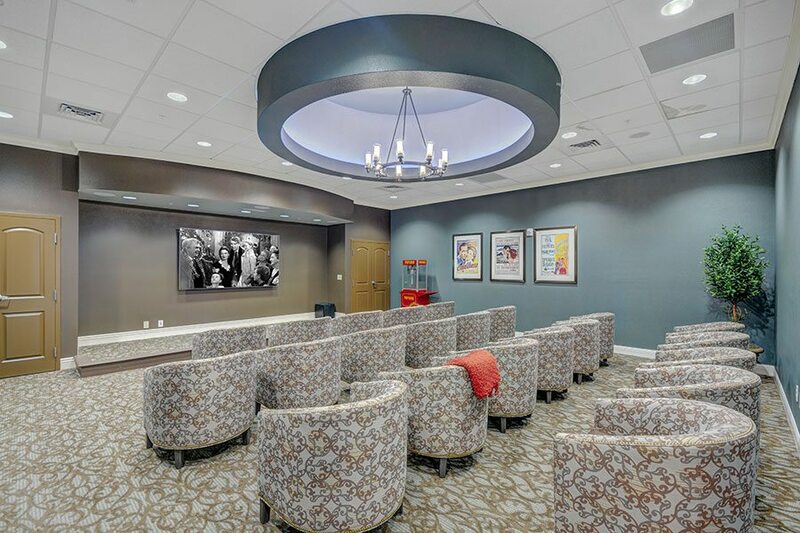 If that time comes, find the respectful care you deserve with the independent living you love at Tuscan Gardens®. We believe that just because you need a bit of support you should still have the opportunity to live a life you love. Tuscan Gardens® offers both. Just imagine moving to luxury and comfort in a resort-like community where the vacation never ends. 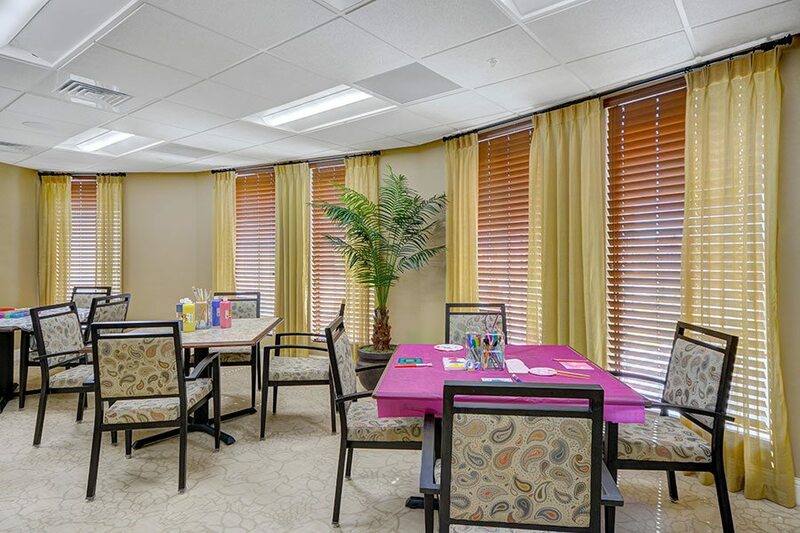 That’s Independent Living with Supportive Services at Tuscan Gardens®. 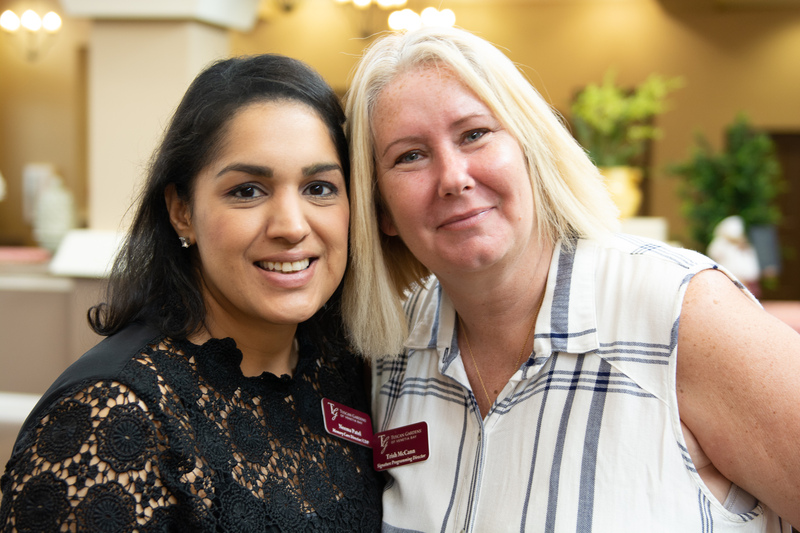 When you move in, we will develop a personalized care plan that defines the appropriate level of support you need. Your support will be delivered with respect and dignity by our professional caregivers. Better yet, you’ll spend every minute just as you choose. Surrounded by beauty and fun, interesting companions, every day promises elegance and ease, filled with engaging activities and joyful moments. 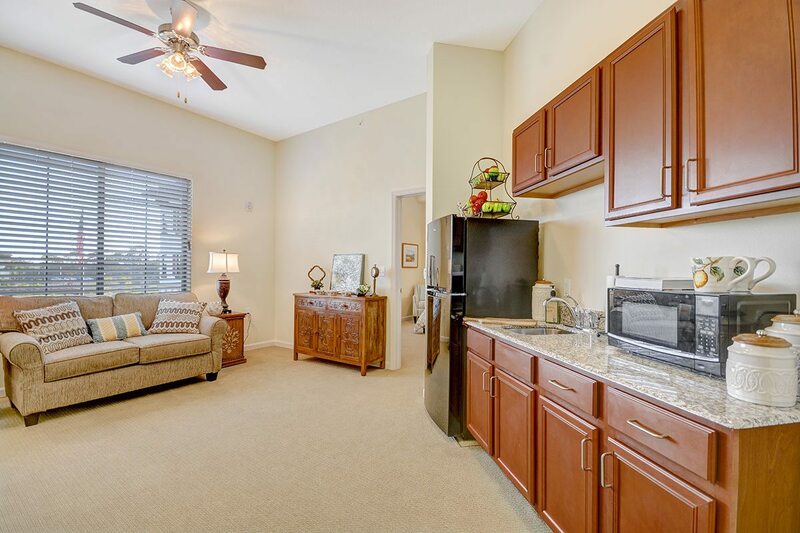 We offer a variety of one- and two-bedroom living suites with diverse floor plans. All suites are decorated with the finest furnishings and exquisite features. 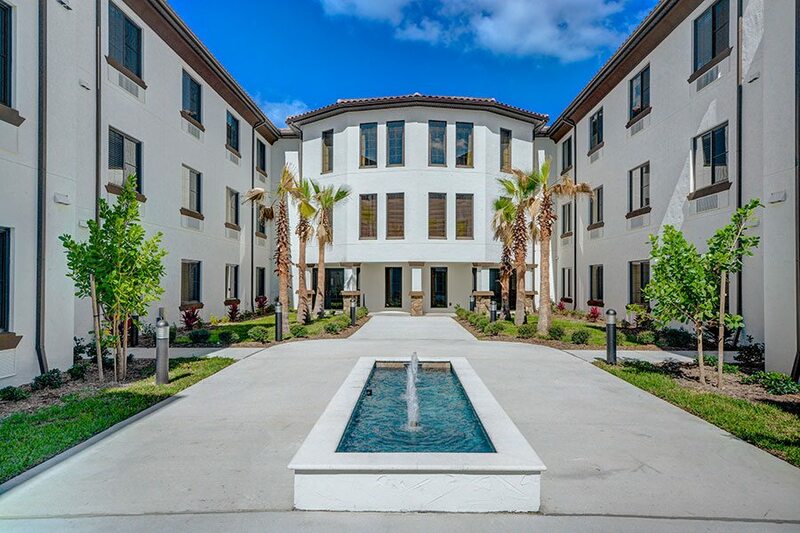 At Tuscan Gardens®, we receive great satisfaction from bringing you joy. We are truly at your service, committed to making your days here as vibrant and pleasurable as possible. Start living the retirement lifestyle you’ve always dreamed of. Free yourself from the burden of chores and let us handle the cleaning, cooking, maintenance and hassles so you can focus on the things that truly matter while enjoying life at its best and brightest! 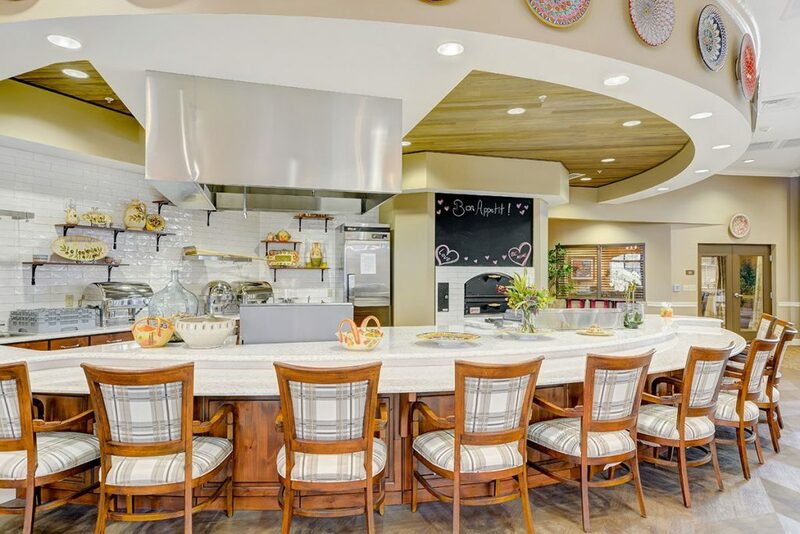 The Tuscan Kitchen reflects the wonderful chemistry of a Tuscan Chef, surrounded by the tools of his trade, producing incredibly fresh food for our residents. 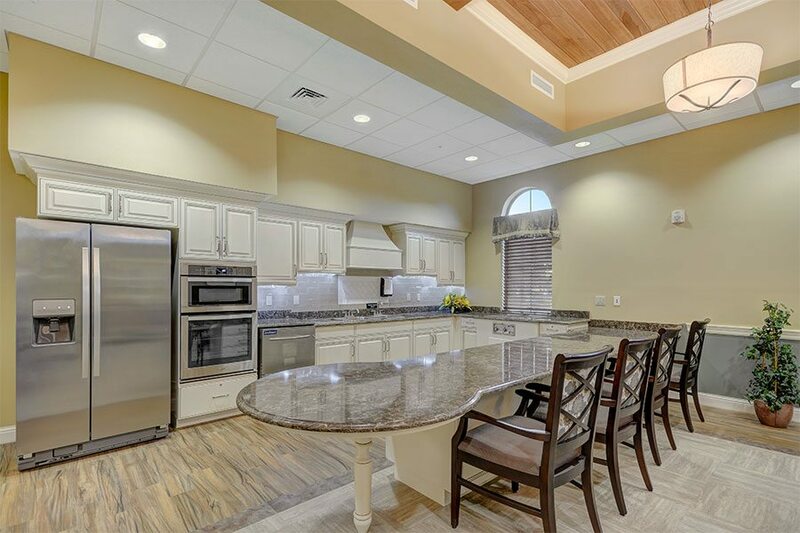 Residents and family members can participate in cooking classes and live demonstrations. Watch our talented chef toss pizza dough to make delicious pies at our happy hour and Tuscan Pizza nights! The air is filled with the familiar aromas of home-baked bread and pastries served alongside freshly brewed coffee. Residents mingle during activities, have a cup of coffee, and talk about events of the day just like the family table at home. Water fountains around the community are not only an iconic design feature. They are functioning fountains that support auditory and movements to welcome peace. 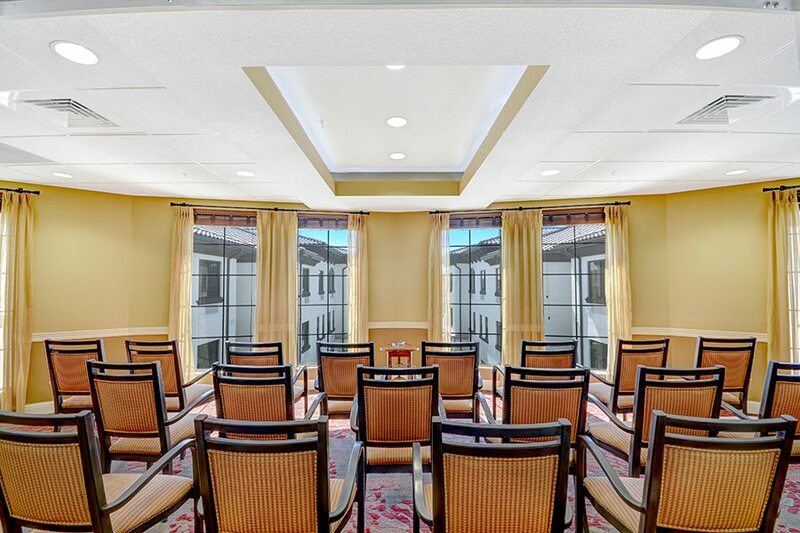 Our in-house chapel offers a spiritual escape. 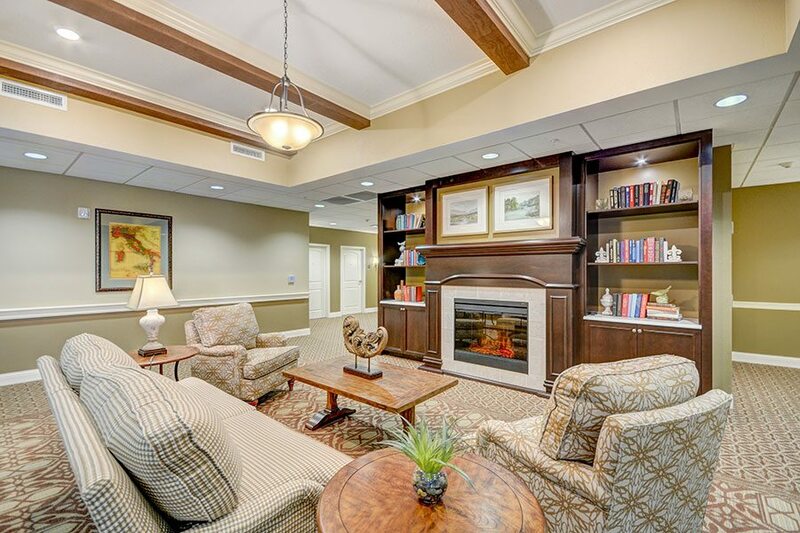 The community has a small collection of favorite literature that our residents enjoy with comfortable, cozy areas that welcome them to sit and chat with a friend or read a book. A weekly book club gathering is also a great way to meet new residents, form friendships and stimulate discussion. Walk down the nostalgic era with old movies or cozy up with the latest during our weekly matinee. We also serve fresh popcorns on demand! 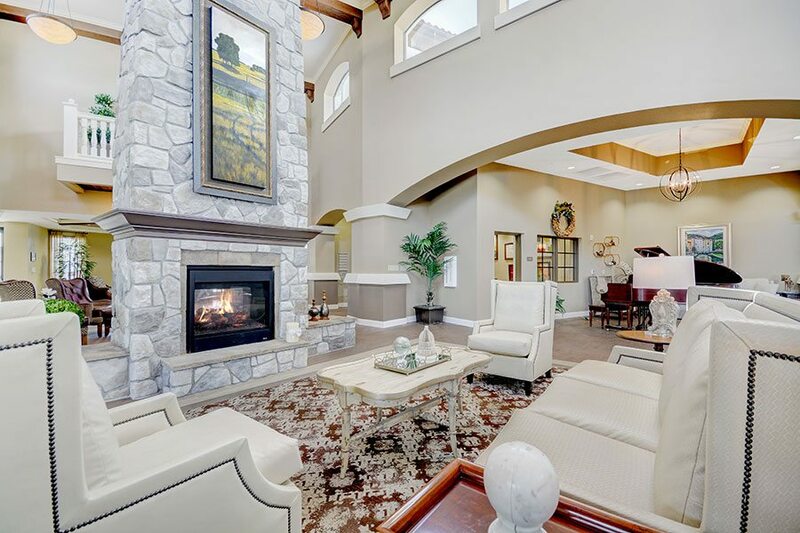 Cozy up in one of many great rooms around the community. Socialize in a more intimate setting that is a warm and vibrant home filled with life. Sample our life-enriching programming for yourself and let your creativity flow with an artist-led painting class. Create and Experience the Art of Living With Purpose, Passion & Joy®. 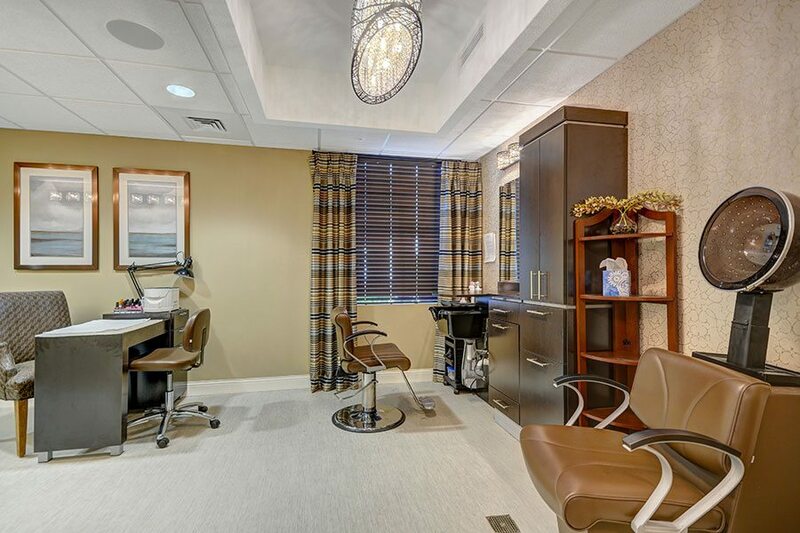 We offer the flexibility of an in-house beauty salon and spa. Make an appointment for a mani-pedi, hair, and makeup at the comfort of your home.